a) Microsoft stack and .NET developers. b) New developers using Apache Cordova. c) An engineer who has not been using any open source tools in Visual Studio. 1) What is npm ? 2) Why would i use it ? 3) How to use it ? You will use npm when you want to install any js library or framework in your Visual Studio project. For example: if you want to install node.js, Cordova js libraries or any other js library such as: ionic or react! 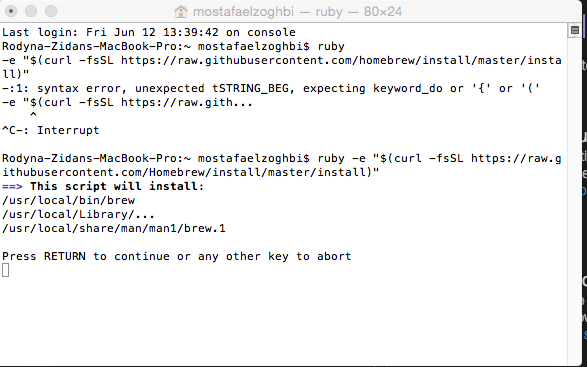 To get npm js package manager, you need first to install Node.Js which contains npm package manager tool. Once you download and install the installer, you would have npm package manager tool in your system! 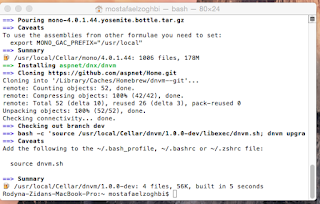 Hope this helps you how to get started using npm package manager! This was the reason of the rising & popularity of JS libraries and frameworks such as: jQuery, Angular, Knockout and much more amazing js libraries. Recently, I have been thinking to build a Hyprid mobile application using Cordova, and this open source platform helps developers to build cross platform native apps using standard web technologies in JS and HTML. I was thinking what is the right and best approach to start structuring my project in an organized pattern such as MVC, so i have bunch of views and controllers and my code is clean to build robust solution! You have different ways to implement this, One is to use Angular JS library that helps you strcture your code in a MVC patterns and design your views that are linked to models and js files that have all your controllers implementations. Another approach, is to use TypeScript which gives your the ability to write clean client scripting and it generates JS code for your and it works in all browsers! If you are using any OOP programming language such as: C# or Java. It will so easy for you to add TypeScript (*.ts) file in your project and start writing classes, interfaces and all OOP code with IntelliSense and type casting capabilities within VS IDE. So, you write C# Like code in TypeScript file, it generates JS code and it works in al browsers. TypeScript is available and supported if you use VS 2013 (update 2) or VS 2015! 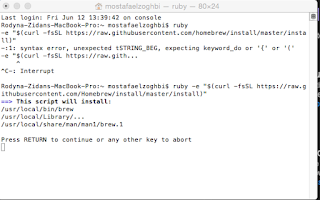 I am writing this blog post to show in step by step from ,net development perspective how to install and configure your macbook pro to have VS and starting developing and debugging asp.net applications. It is a straight forward installation as we used for all MS products installation. 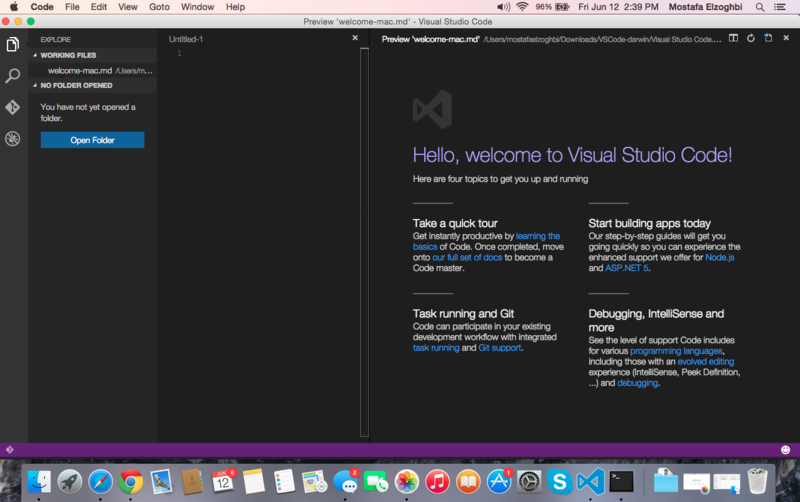 Once you install it you will be able to run the VS Code as shown above. 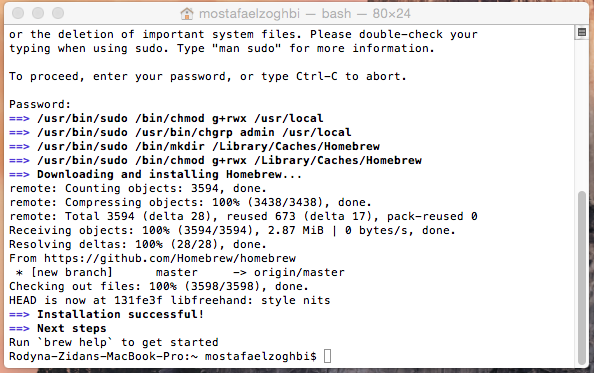 This command install homebrew which is the missing package manager for OS X. It is same as Nuget console manager we do have in VS in windows to install any needed packages to our projects. 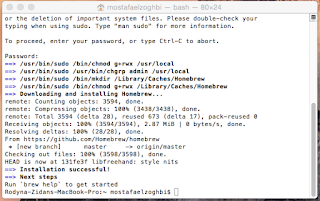 Below screen shot show brew installation in the terminal window. Once you hit enter, it will ask to enter your password and hit enter. below show the completion of brew installation. Below screen shot shows the successful installation of DNX and ASP.NET on my macbook pro. This sample contains console app, asp.net mvc and aspnet web app. I am writing this blog to show how to start developing cross platform mobile native applications using Cordova. 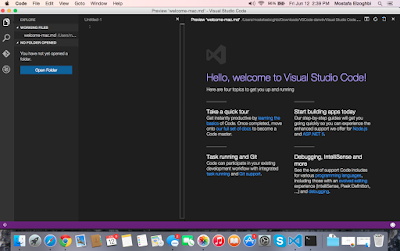 Microsoft has started to integrate Cordova into VS 2013 and VS 2015. In this blog post i am showing how to start working with Cordova in VS 2013 by getting all the tools in step by step fashion. Once you open VS2013, Click on Start a new project. This will open up a new browser windows to start installing all the tools. download the executable file. Open up VS again, You will find a blank App (Apache Cordova) project template in VS 2013! UPDATE 06/12/2015: Microsoft recommends to use VS 2015 for all Cordova applications because VS 2015 is using a new project structure to support third party CLIs, while VS 2013 is still using the old/deprecated project structure.